A breed club is not just for breeders. Our primary goal is to preserve and protect the integrity and health of Pembroke Welsh Corgis, and if you love Corgis, then you should consider becoming a member. Every time your Corgi goes out for a walk, goes to a class, enters a competition, goes on vacation with you, they are acting as ambassadors for the entire breed. How many times have you been stopped by passers-by and asked about your Corgi? Membership in Mayflower will help educate you and then you can pass that information forward with confidence. Join us in our celebration of all things Corgi, and meet others whose passion matches your own. Within Mayflower, you will find friendships that can span decades. A.) Within a two year period, attend four membership meetings (one of these being a Club meeting other than the Annual Specialty) OR three membership meetings PLUS actively work at a Club sponsored event which is verified by the Event Chair. The applicant must be introduced at one of the membership meetings attended. Meeting dates and locations are posted under the “Events” header of this website. B). Have two sponsors who have been members of the MPWCC for at two years. C). Be in good standing with AKC, and agree to abide by Mayflower’s Constitution, Bylaws, and Code Of Ethics. When completed, your application will be reviewed and voted on, first by the Board of Directors, and then by the membership. 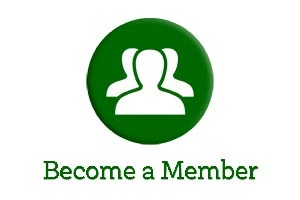 The Recording Secretary will send each new member a welcoming letter from the Club, a copy of the Bylaws, a current membership list and a description of any Club Award system or privileges. As well, you will be eligible for our annual awards such as the Lila Wolfman Achievement Award, the VPA, and VPAX Awards. Influence the events we host! Let us hear from you. Mayflower Pembroke Welsh Corgi Club, Inc. is a 501(c)7 non-profit organization run entirely by volunteers. We are licensed by the American Kennel Club to run AKC events in accordance to their rules and regulations. We are a Pembroke Welsh Corgi Club of America, Inc. regional affiliated club. Most of our members reside in the New England States and New York.